PLEASANT ON YOUR EYES: Natural, no-glare and non-flickering light, 2-level brightness allows you to choose preferred lightness by just a click. FLEXIBLE ARMS: Let you position the light for best viewing without disturbing others nearby. POWERFUL LIGHTING: Ultra-bright 5 LEDs provides a clear, uniform spotlight for reading or enjoying hobbies, camping or using a keyboard in the dark. MULTI USE: Stable and sturdy clip(open up to 1.7''), can clamp to your book, table, lap desk, cabinet, headboard and more other places for everyday use. 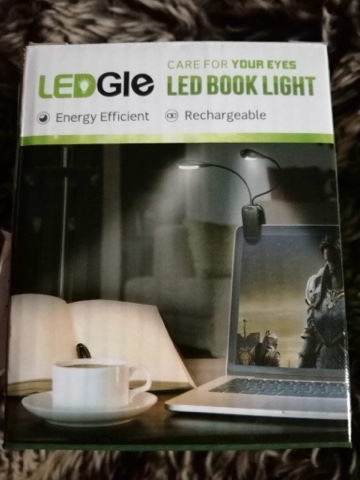 I was very impressed with this book light. The amount of light that it gives is impressive. There are two settings so that you can choose the brightness that best suits you. The clip works best on a thicker book than on a thin paperback due to the large size of the light. It's about twelve inches long long so it's bigger than a lot of book lights. For me this works well as I clip it to a shelf next to me and it still clearly lights up my book. 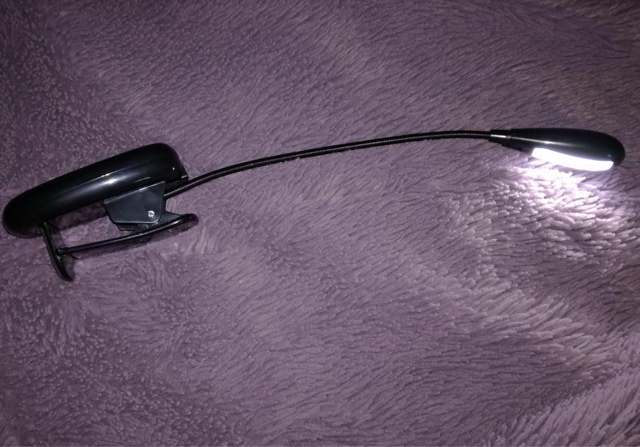 It's also very useful if you need a light in the middle of the night but don't want to disturb your partner as it gives out enough light for you to be able to see where you are going. 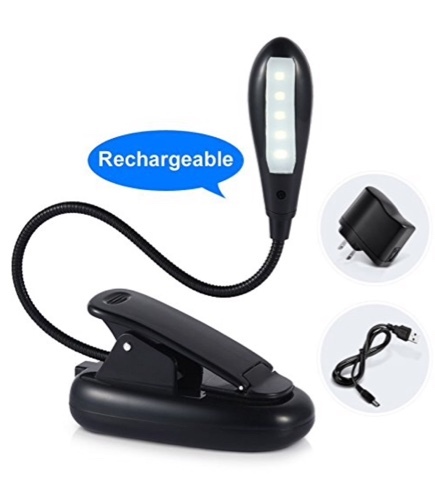 The light is rechargeable and comes complete with a charging lead and plug. The charge lasts well. You can if you wish use it while plugged into the mains, so if you forget to charge it you could still use it. The only real negative I would give is for the packaging. 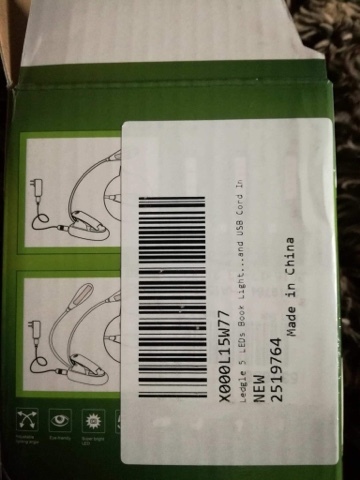 There was a big sticker over the instructions which was impossible to remove. I am giving this light 4 out of 5 stars purely because the clip doesn't hold thinner books too well, but for me and my circumstances it's perfect.